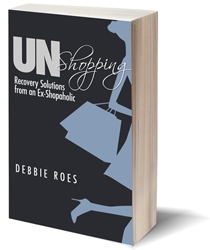 I am very excited to announce that my first e-book, “UnShopping: Recovery Solutions from an Ex-Shopaholic,” is now available! This book contains the best of my smart shopping solutions from “Recovering Shopaholic,” categorized into logical sections related to various shopping-related situations and challenges. These solutions have all been revised and enhanced from the original versions that appeared on the blog. In January 2013, I created “Recovering Shopaholic” in an effort to heal myself from a decades-long compulsive shopping problem. Although I had no idea how many people would read my words, I knew there were many others out there who struggled with shopping too often, buying too much, and trying to fill emotional voids with clothes, shoes, and accessories. I hoped to keep myself accountable and potentially inspire and connect with those other shopaholics who wished to recover and trade their full closets for full lives. From the beginning, I made an effort to include useful tips and suggestions for my readers in all of my posts. 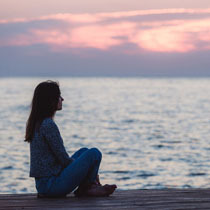 As I progressed with my recovery, I shared my insights gained and tools developed so that others could apply them to their own lives and learn to shop more consciously and wisely. For a time, I captured many of my strategies on the “Recovery Tips” page of my website as a quick and easy reference resource. However, as the months progressed and I had written over a hundred posts, it became increasingly unwieldy to maintain that page. Hence, the idea for this book – and my second book on the topic of wardrobe management (coming this summer) – was born! A. The book is available via the Amazon Kindle Store, Barnes & Noble NookPress, and through Smashwords. I want to extend a sincere thank you to all of my readers, especially those who have been with me for a while. I couldn’t have written my book without your support and encouragement. You’re helped to guide the shape of the blog through your questions and comments – and just knowing you’re out there. Whether or not you ever purchase my book, I am grateful to you for helping me to make it happen. I have now crossed off one of the key items on my “bucket list” and I’m feeling proud and satisfied at my accomplishment. If you do choose to read the book, I hope you’ll find my solutions helpful in your journey to shop smarter, cultivate a workable wardrobe, and place shopping into its rightful place in your life. If you enjoy the book, I’d love for you to share your thoughts and post a review on Amazon. Your endorsements will help to spread the word about my book and help others who struggle with overshopping. Good for you! I hope it’s very successful! Congratulations Debbie! What an achievement. I’ve already purchased the book and am looking forward to your second one. That’s awesome Debbie! I am so excited for you. I have purchased the book and know I’ll enjoy it. Thank you, Tonya! I’d love to know what you think after you read it. Hope you find it helpful! Congratulations Debbie! What a fantastic accomplishment! You are a talented writer as evidenced by this blog. I just purchased your book and can’t wait to read it. Probably all in one sitting today. And I’ll do the same when your next book comes out. Although I’ve followed your blog since the beginning, I know it won’t hurt to continue to reinforce all these ideas. I’m so happy that longtime readers like you are eager to read the book, Kim! I actually reinforced the ideas for myself as I wrote the book 🙂 Repetition never hurts any of us… I’d love to get your thoughts after you read it. Congratulations on finishing your Ebook, Debbie! That is such a wonderful accomplishment and you should be so proud of yourself. I think the book will be extremely helpful. I don’t even think people realize they have a shopping problem until they start learning more about it…and the way you write and describe the “symptoms” of being a shopaholic are so clear and easy to understand. Good luck with your second book, can’t wait to hear more about that one! Let me add my congratulations, Debbie. You have much accomplished since the start of your blog. Best wishes. It’s great to hear from someone else who’s been around since the beginning, Cornelia. I’ve really appreciated your support and good wishes! You have published a book. Much hard work, all those words. And you mastered them. You are no longer a fledgling writing, an aspiring writer. You are a real writer, and now you are an author. It’s a great feeling. And along with writing a book you are mastering the art of un-shopping. This is a year of great accomplishments. Congratulations! I really appreciate your kind words and support, Terra. Thank you so much for posting such a nice review on Amazon, too. It means a lot to me, especially coming from an accomplished writer like you! Your words above really touched me, especially, “You are a real writer, and now you are an author.” You’re right – it IS a great feeling! Thanks for writing that my work is not limited to those who have a shopping addiction. In the beginning, I thought the scope of my writing would be a lot smaller than it’s ended up being. I’m happy to be able to help anyone who struggles with their wardrobe in any way and I hope to continue to do so for a long time to come! You’re such a clear, thoughtful and easy-to-understand writer. Congratulations! I can only say that reading this blog regularly (and from the beginning) has helped me to get clear about my own relationship to my clothing and how it reflects on my broader beliefs and values about my self. You’ve had a big impact on me. I didn’t know you’ve been reading my blog since the beginning, Happy Forgiver, but I really appreciate your kind words. I’m so glad my blog has been helpful to you! Our relationships to clothing are very complex and I continue to uncover new layers all the time. I’m happy that sharing my insights has been able to impact other people in a positive way. Congrats, Debbie! I have added it to my wishlist and plan to purchase once my budget is back in order. Thanks so much, Melissa! I hope you enjoy the book and find it helpful to you. Best wishes with that budget, too! I would like to add my congratulations as well! Good for you! Just bought it! Good on you Debbie – a great achievement. I’m looking forward to reading it. I appreciate your support, Katy! Please let me know what you think of the book. I hope you find it helpful! Congratulations Debbie! I don’t consider myself a big shopper but in reading your table of contents there are so many helpful topics I look forward to learning more about. Congratulations Debbie on your book! I agree with Terra that everyone who has more clothes than they actually wear can benefit from reading it. I wasn’t a shopaholic but I certainly had way too many clothes that I didn’t wear. You certainly helped me look at some of the reasons why and gave strategies for dealing with the problem. Thank you again and I’m sure your book will be a great success! I appreciate your kind words, Megan! I’m so happy to have found an audience of BOTH compulsive shoppers AND those who struggle with having too many clothes and other wardrobe challenges. 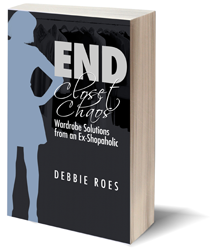 My second book will focus on wardrobe management tips. I was going to put everything in one book, but I had more content than I thought. Not a bad problem to have! Congratulations. I know how hard it is. I’ve just published my first novel and am currently going through the hidden circle of Dante’s Inferno that is sweetly called “formatting your book for Smashwords”! Congrats!!! It sounds great, and I will definitely be checking it out. I’ve been so impressed by your methodical and clear steps for combating this problem, as well as your focus. I still feel so scattered! Thanks, Cristina! I appreciate your kind words. Sometimes I still feel scattered, too… I think you’re doing great overall. I always like reading your posts and it seems you’ve made some epiphanies as of late. It takes time and a lot of effort to recover from a compulsive shopping problem, but I have faith that you will do it! Congratulations Debbie! That must be so wonderful :-). You’re doing such a great job on the blog and now a book. I’m sure it will be a big hit! Thank you, Mette! Yes, it does feel wonderful to have written my first book. I appreciate your kind words and I hope you’re right about my book being a big hit! Congratulations on publishing your first book! I am still writing mine and I know how difficult this process can be. This is a wonderful achievement, bravo! Thanks, Lisa, and best of luck to you with finishing your book! I’d love to hear about it when it’s released (even if it has nothing to do with style or shopping). I somehow missed this post (was traveling and offline) but congratulations, what a fantastic achievement! Have just downloaded it! Thanks, FrugalFashionista! I appreciate your support and I hope you like the book. Please let me know what you think!